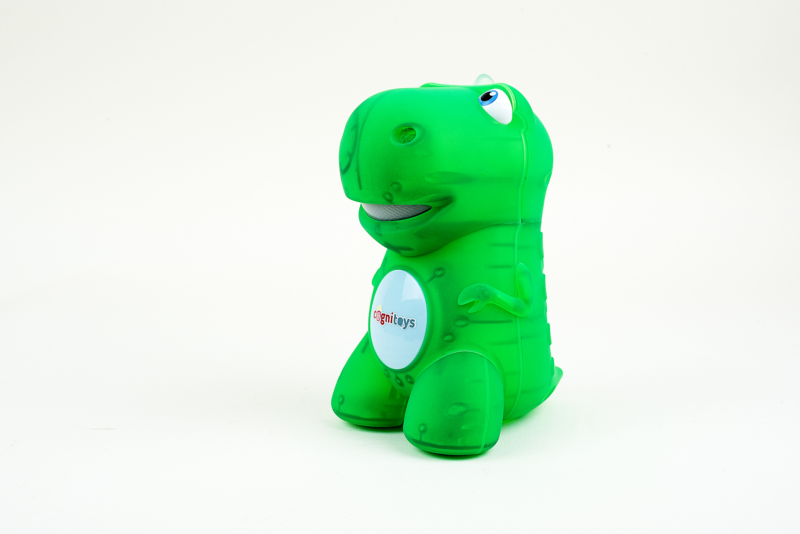 NEW YORK – Elemental Path, known for its award-winning line of artificial intelligence toys for kids, today launches an Indiegogo crowdfunding campaign to support its newest product in the CogniToys family, STEMosaur. The STEMosaur is a customizable toy that doubles as a learning companion for children, combining the best elements of the flagship CogniToys Dino, such as the Friendgine, with a more hands-on approach featuring Science, Technology, Engineering and Math (STEM) elements, as well as lessons in Coding. The Indiegogo campaign aims to raise $25,000 in 45 days, with the super early bird backer level starting at just $99. To support this campaign, visit https://igg.me/at/stemosaur. With STEMosaur, kids ages seven and older can construct, code and play. The learning begins with a hands-on exercise that allows children to construct their new friend from a variety of building pieces to bring it to life. Once constructed, the Wi-Fi enabled STEMosaur is immediately capable of holding conversation, telling jokes and playing games that engage the user’s imagination and creativity. This is achieved through Elemental Path’s own Friendgine technology, a cloud-based artificial intelligence software platform that allows the smart toy to hold intelligent conversation with the child and share answers to questions in real time. In addition, Elemental Path is launching its Coding Panel, an easy-to-use platform that will teach different elements of how to code and allow kids to create their own custom educational content and STEMosaur programming. The Coding Panel may be accessed through a computer or tablet and registers with the individual toy. Such features include coding the STEMosaur to tell unique jokes, share additional stories and play games of the child’s choosing. STEMosaur is also equipped with a Parent Panel so that parents can stay engaged and informed about what their child is learning. The Parent Panel monitors usage patterns and learning progress. It also includes features such as a bedtime setting. Parents can use this platform to contribute directly to the child’s educational experience, programming their own stories, jokes, games and more. The Indiegogo campaign is now live and running through October 3rd with the goal of raising $25,000. Backer levels range from $99 to $255. There are also two special, higher-priced backer packages – a donation bundle priced at $1,250, where CogniToys will match your product purchase with a donation of 10 STEMosaurs to the school of your choice; and a $2,500 package, where you will receive an engraved STEMosaur and have the opportunity to tour the production facility and enjoy other exclusive perks. The company will ship all STEMosaurs in November for receipt in December 2017, so backers will be able to give the gift of STEMosaur this holiday season. To view the campaign page, please visit https://igg.me/at/stemosaur. To learn more about Elemental Path and CogniToys, visit www.cognitoys.com. Dieser Eintrag wurde veröffentlicht in Crowdfunding, English, Fun, General, STEM und verschlagwortet mit Elemental Path, IndieGoGo, Stemosaur von Sebastian Trella. Permanenter Link zum Eintrag.